If you fail to remove Adobe Digital edition PDF/epub DRM, it most because you hasn’t authorize computer in Adobe Digital Editions, this is step by step guide to authorize computer in ADE. 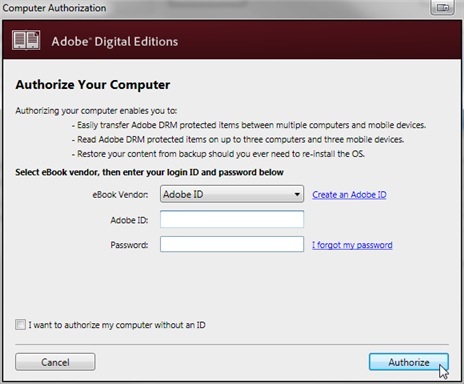 Once you’re done, return to the Computer Authorization dialog box and enter your Adobe ID and password. Restore your content from backup when you ever need to re-install the OS.